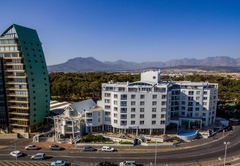 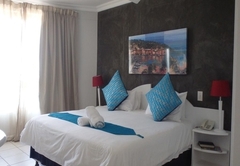 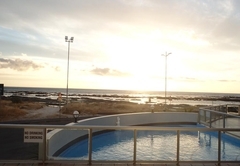 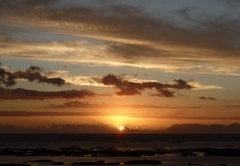 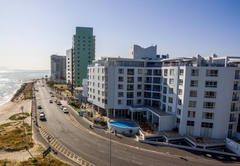 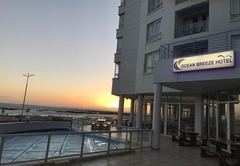 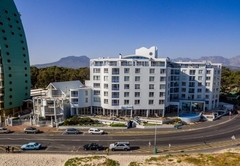 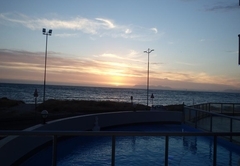 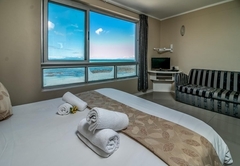 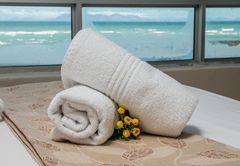 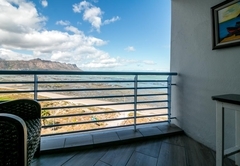 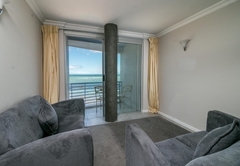 Ocean Breeze Hotel is a Strand hotel providing accommodation in 30 guest rooms for tourists visiting the Cape Helderberg region. 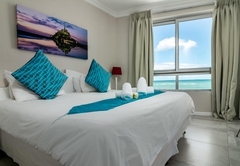 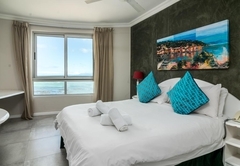 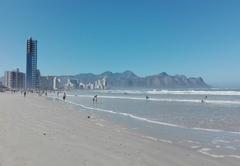 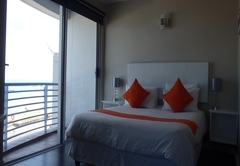 Ocean Breeze Hotel offers comfortable bed only accommodation in a selection of rooms in Strand. 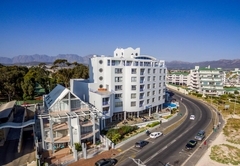 From here you are just 10 minutes away from the Winelands, 20 minutes from the airport and half an hour away from Cape Town central and the V&A Waterfront. 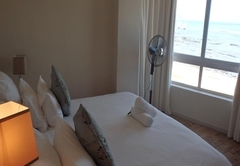 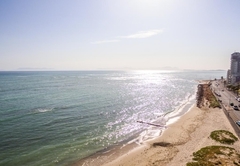 This is a great place to enjoy a magnificent beach holiday while still being within easy reach of great attractions and plenty of things to do. 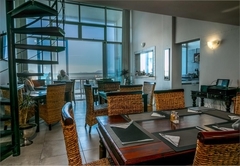 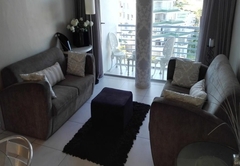 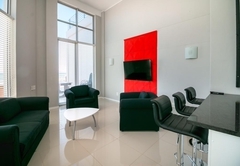 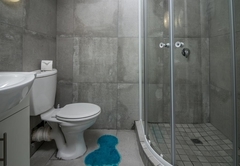 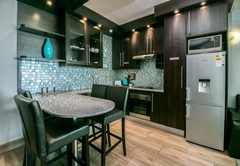 There is a swimming pool on site, secure parking, Wi-Fi, laundry facilities and an Ocean Basket Restaurant downstairs. 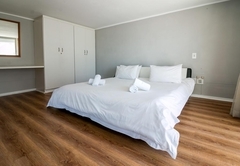 The room sleeps two guests and has a double bed and an en-suite bathroom. 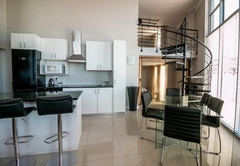 The room has a kitchenette with a microwave, bar fridge, tea / coffee station, crockery and cutlery. 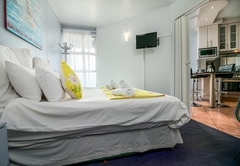 This room sleeps two and has a Double bed, en-suite bathroom, a bar fridge and a tea / coffee station. 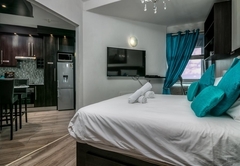 This suite sleeps two and has a bedroom, en-suite bathroom, lounge with a sleeper couch, balcony and a kitchenette with a microwave, bar fridge, tea / coffee station, crockery and cutlery. 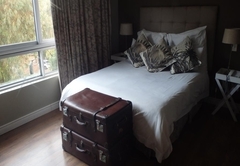 This suite sleeps two to four guests and has a bedroom, en-suite bathroom, lounge with a sleeper couch, balcony and a kitchenette with a microwave, bar fridge, tea / coffee station, crockery and cutlery. 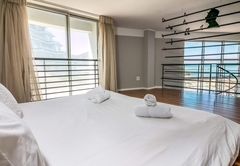 This room sleeps four guests in two bedrooms. 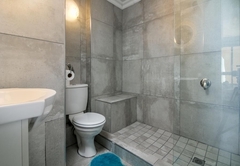 There are two bathrooms, a lounge with a sleeper couch and a kitchenette with a microwave, bar fridge, tea / coffee station, crockery and cutlery. 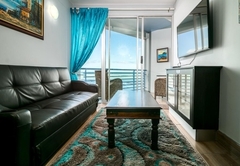 Response timeOcean Breeze Hotel typically responds to requests in 5-10 minutes.